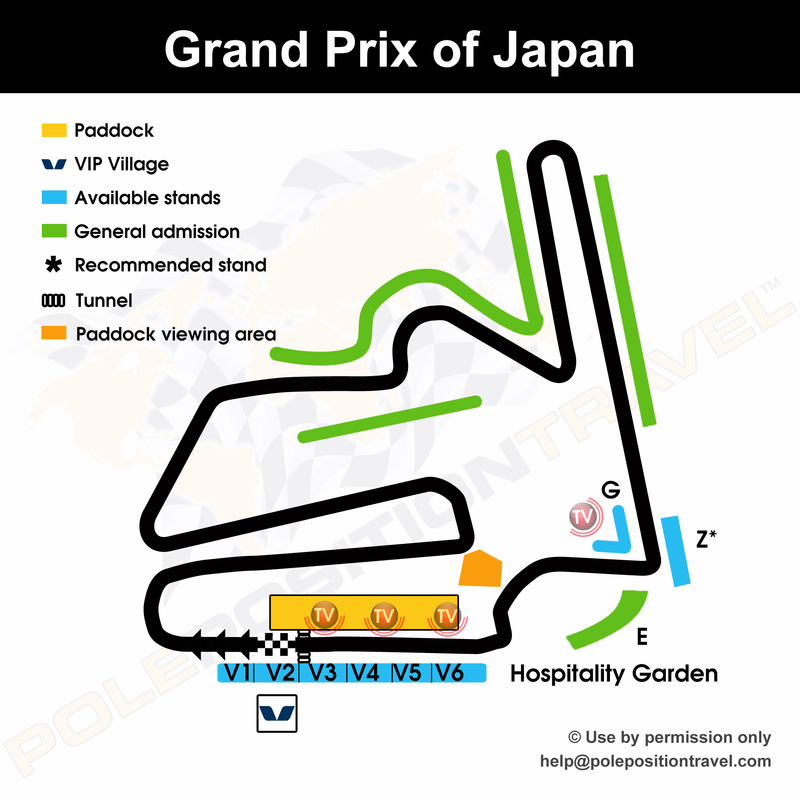 Motegi is a complicated place, which means our experienced advice will be quite useful for anyone seeking to attend this remarkable event. Remember, even if you are not on our package, we have a team at the circuit and can help you with any issues. Go VIP Village if you can -- it is about the best value VIP of the season with open Paddock access, pit lane walks, service road tours and generally great access. Always sells out by January unfortunately. Alternatively opt for a MotoGP Team Experience - this gives you the top experience of the event as a team guest and you have access to their shelter and lunch facilities. There is a pretty good viewing area in a field open only to paddock customers. For tickets you get the most view from the main stands V2-6 : the natural valley the track lies in gives you panoramic sights (but you will want binoculars). All grandstand tickets also permit access to the Super Speedway Arena on Sunday. This is the area just alongside the main straight (actually on the speedway tarmac). You can't actually see much track from here, but is great for getting close to the podium and is also where special events occur, such as rider signatures.